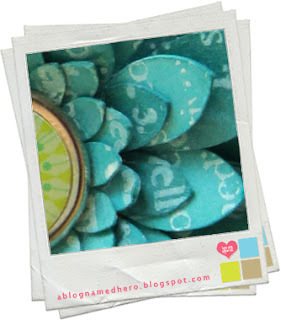 Today I have a quick sneak of the new Challenge being revealed over at A Blog Named Hero tomorrow. It will be Challenge #6 for those keeping count. You will definitely want to check this challenge out. I promise you won't be disappointed. I personally can't wait to see what the other girls have done. I LOVE challenge reveal day...it means I get to see all the stuff y'all create for the challenge too. Don't forget to enter the Challenge. 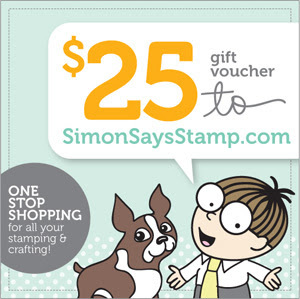 The AWESOME Simon Say's Stamps will have a $25 GC up for grabs! See you tomorrow over at A Blog Named Hero! I think this card is going to be fantastic! Had such a great day with you and can't wait to do it again! You are welcome to come HERE anytime..pick a day, and we'll PLAN! !